'Frost-demons have no interest in mortal girls wed to mortal men. In the stories, they only come for the wild maiden.' In a village at the edge of the wilderness of northern Russia, where the winds blow cold and the snow falls many months of the year, an elderly servant tells stories of sorcery, folklore and the Winter King to the children of the family, tales of old magic frowned upon by the church. But for the young, wild Vasya these are far more than just stories. 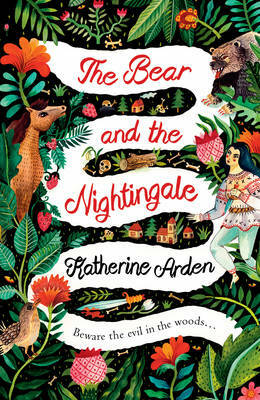 She alone can see the house spirits that guard her home, and sense the growing forces of dark magic in the woods... Atmospheric and enchanting, with an engrossing adventure at its core, The Bear and the Nightingale is perfect for readers of Naomi Novik's Uprooted, Erin Morgenstern's The Night Circus, and Neil Gaiman.